As a self-proclaimed tattoo commentator and writer, I rely on my personal experience and time working in a tattoo studio. 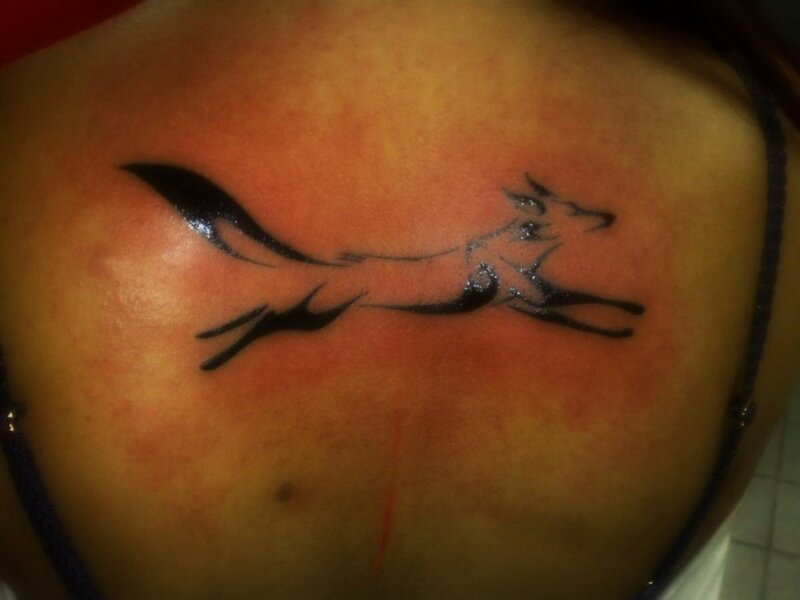 Your beautiful, amazing tattoo is now hurting, red, bruised, and swollen. It constantly aches and every time you move it, you wince. The short answer is yes. As you got your tattoo, a needle rapidly pierced your skin, passing through several of its layers to deposit ink below the epidermis. The reality is that your body sees your new tattoo as a wound that needs to heal, and part of the healing process is swelling and bruising, medically known as a contusion. Why Does Your New Tattoo Swell? Remember that to your immune system, your fresh tattoo is essentially an injury. When your body is injured, a blood clot forms around the broken blood vessels, creating a bruise at the impact site. At the same time, your immune system sends white blood cells and other natural body chemicals to the injured area to fight any bacterial or viral anti-bodies that may try to enter the opening in the skin. As extra fluids are sent to the injured area, the skin around your tattoo swells which protects and cushions the area from any further injury and helps it heal. Vulnerable Tattoo Location. Swelling is more common in the fleshier parts of the body or where there is a lot of blood flow close to the skin. New tattoos are especially prone to swelling if they are under the arm, on the inner area of the leg, on the side of the neck, or on an extremity (e.g. your hands and feet.) That said, any area of the body can experience bruising and swelling. Excess Blood Thinners. Blood thinners, such as alcohol, coffee, and aspirin as well as blood-thinning medications should not be consumed before, during, or after receiving a tattoo because they can cause excessive swelling as the tattoo is healing. The Tattooing Process Itself. Long sessions and heavy-handed, rough tattooing will naturally result in increased bruising and swelling to the area. To prevent this, you should choose an experienced tattoo artist who will have developed techniques over time to minimise damage to the skin. Skin-Numbing Creams. Skin-numbing creams restrict blood flow where they are applied. Sometimes, this can result in the nervous system becoming overly sensitive and increasing swelling even further, restricting the body's repairing process. Skin Sensitivity. Those who are more susceptible to bruising and swelling for medical reasons or have blood conditions will also experience higher than normal swelling and bruising. Though I've listed the most common causes of swelling, there are always anomalies in every situation. Now that you know why tattoos swell, you can do your best to avoid it and keep your tattoo looking gorgeous. 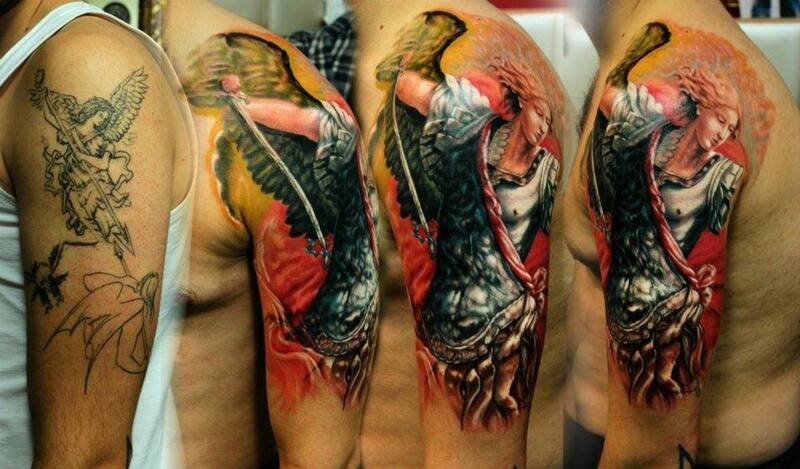 Looking after you new tattoo is extremely important to avoid infection and excessive swelling. Aftershock Premium Tattoo Aftercare Kit provides all the lotions that you need to care for your tattoo as it heals. Tattoo bruises and swelling begin as reddish, pink dots that appear in blotches immediately after you leave the tattoo studio. As time passes, the area around the tattoo can start to swell as well and the limb or area may be slightly painful to move. Bruising and swelling should go away after one to four weeks, depending on how much the skin was traumatized and the location of your new tattoo. As it passes through the various stages of healing, the bruise's colour will evolve into a bluish-purple blob, and then fade to a yellowish green hazy cloud. The multi-coloured wound should then return to its natural flesh tone. Your swelling should also reduce at a similar rate as the body passes through its stages of healing and the fluids drain away. After three to seven days (or up to two weeks), your tattoo should have begun to peel and will be very itchy. Scabs may form, but it is important to let them fall off on their own and to avoid scratching your tattoo. Extreme pain, oozing of white or greenish substances, foul-smelling tattoos, and fever are all signs of a tattoo infection (see below). If you think you might have an infection, see a doctor right away. 1. Apply a cold compress to the swollen area. This can be as simple as a pack of frozen peas or a cool washcloth. Don't apply frozen compresses or ice directly to the skin. Instead, wrap the cold element in a clean, fluff-free material like cheesecloth or muslin cloth. Leave the compress on the swollen area for about 30 minutes. This will reduce blood flow and limit bleeding into the skin, thus reducing bruising and swelling. It will also alleviate pain and inflammation and speed up the healing process. 2. Elevate the part of the body with the swollen tattoo. Keep the swollen tattoo above your heart if possible, it may help to lay down. Body areas below the heart, have a higher probability of blood flow into the area, increasing bruising and swelling. You should attempt to keep the tattoo raised whenever possible for the first 24 hours. 3. Avoid all blood thinners after getting a tattoo, including Aspirin. If you need to take a painkiller, try ibuprofen and panadol, taking them exactly as the packaging suggests. Consider stopping any blood-thinning medications, but always consult your doctor first. 4. After 48 hours, apply a warm washcloth to increase blood circulation in the area, which will now help your body mend. You should do this for 10 to 15 minutes, three to four times a day. Alternating between cold and hot compresses can increase your tattoo's healing rate. Ensure you use a hygienic cloth and wash your tattoo after applying the compress to avoid introducing a foreign body, which could result in an infection. Swelling is more common in the fleshier parts of the body or where blood flow is high and close to the skin. It is reasonably common for new tattoos to swell considerably under the arm, inner area of the leg, sides of the neck, hands and feet, although any area of the body can and will bruise and swell, due to external factors. Try to avoid blood thinners before getting a tattoo, as they can cause excessive swelling when healing. Drinking alcohol, coffee and aspirin (also blood thinning medications), should not be consumed before, during or after receiving a tattoo. Long sessions and heavy handed, rough tattooing will naturally increase bruising and swelling to the area. 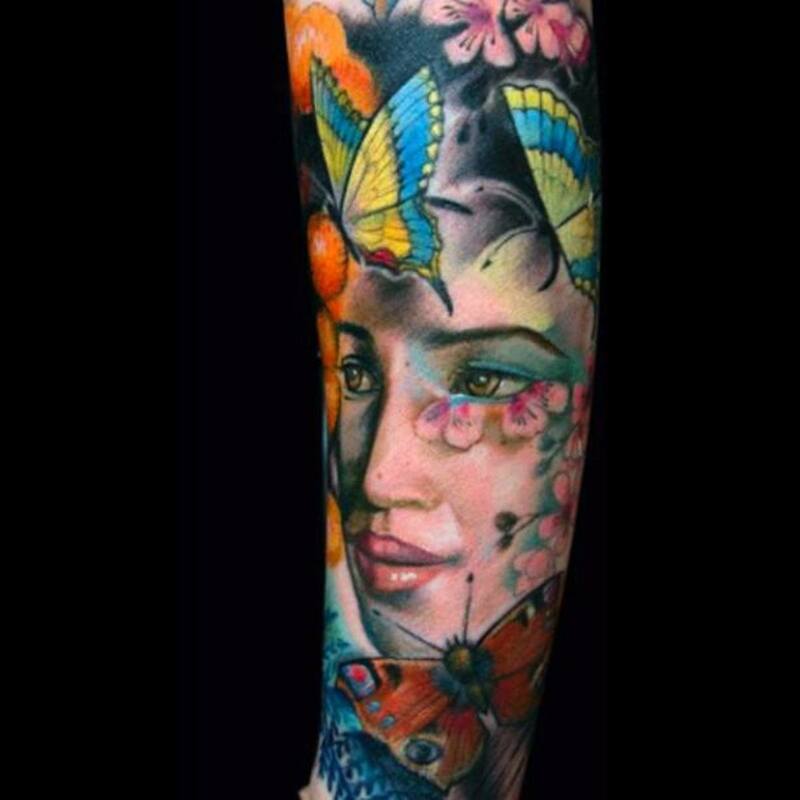 An experienced Tattoo Artist develops techniques over time, to minimise damage and tearing the skin, which in turn reduces swelling and bruising. Skin numbing creams restricts the flow of blood to the area during use. This can sometimes cause the opposite of the desired result during healing, with the nervous system becoming overly sensitive to the extra blood and fluid flowing into the area thereby swelling even further, restricting the bodies repairing process. Those who are more susceptible to bruising and swelling for medical reasons, or have blood condition will also experience more than typical reactions. Although I have listed many causes of swelling, there are always anomalies in every situation. By having the knowledge to avoid the most common reasons for swelling, you will assist your tattoo to develop into a gorgeous tattoo and heal well. Eat more garlic and onion. Besides keeping away people who get too close, some naturalists believe these foods assist healing because of their anti-microbial elements. 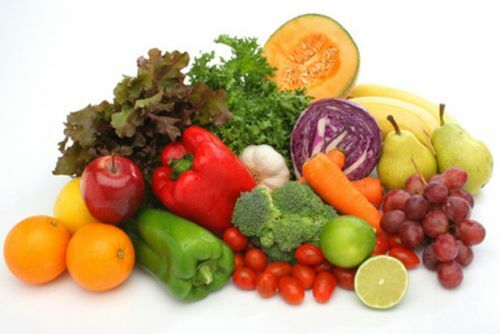 Eat more vitamin C. Vitamin C is commonly found in citrus fruits and sweet vegetables like cauliflower, broccoli, and sweet potatoes. This vitamin is a natural defensive aid in tissue repair and recovery. Steer totally clear of alcohol. Not only is it a blood thinner, but it will also cause you to be less protective and careful with your new tattoo. Drink plenty of healthy fluids. Water, soups, juices, and herbal teas are particularly good for you. Avoid consuming extra dairy products, white flour, sugar, and processed foods. These are known to slow down recovery time periods. Swelling and bruising from a new and normally-healing tattoo should be minimal. It will spread a few centimetres from the edge of the tattoo and will have light coloured bruising, which will occur over a short period of time. On the other hand, an infected tattoo has extreme examples of all the above symptoms. The swelling can be so intense that it restricts movement, causes a lot of pain, and spreads a fair distance away from the tattoo itself. Being hot to the touch is one of the tell-tale signs of an infected tattoo. The tattoo and the area around it is generally very warm, and it may even get to a point when the heat is very uncomfortable and the area needs to be cooled down. 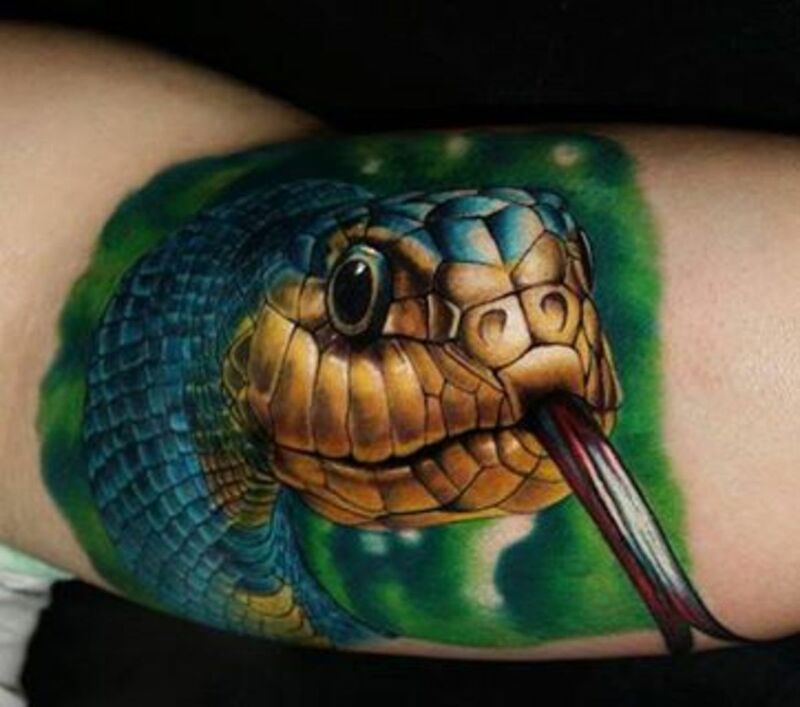 A second distinct characteristic of an infection is a break or tear in the skin within the new tattoo, where potentially yellow liquid or pus oozes out. Thick dry or wet scabs may be present at the point of infection. Sometimes a bad smell accompanies the oozing. This is definitely a sign of infection. These are all signs of a general infection and indicate that you should immediately go to a doctor and seek professional treatment. At the first sign of any infection, Go to the Doctor! Your tattoo is salvageable if it is treated immediately. In most cases, your doctor will prescribe antibiotics or steroids to help cure the infection. If you cannot afford a doctor, seek a medical opinion as a tattoo artist is not a medical expert and will not be able to identify potentially health issues. It's important that you take care of this as soon as possible because an infection can make the ink leach from your skin, potentially causing your tattoo to appear faded or damaged, which is truly disheartening. What's Happened to Your Tattoo? Your new tattoo doesn't feel right and you're concerned you may have an infection. Learn the symptoms of an infected tattoo and find out how to deal with it. 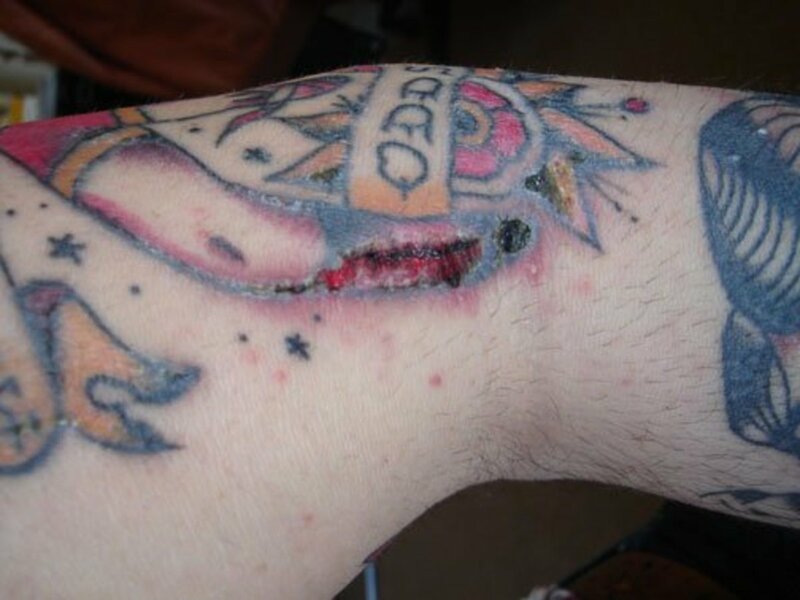 Get advice on your tattoo, including information on aftercare, healing, and scab forming. Find out what, why, and how to deal with scabs on your new tattoo. Tattoo Aftercare Tips, How Should I Look After My New Tattoo? Practical and tested tattoo aftercare Instructions. Why do you need to do it, and how effective aftercare is done. Is Scabbing Normal on My New Tattoo? I got a tattoo 4 days ago. Yesterday it started to get swollen but more than my skin over there the inked place is getting swollen i dont know what to do please help. I had a cover up done on my forearm about 48hrs ago. Japanese koi, so a lot of work/ink approximately 4hrs in the chair. My arm is now twice its normal size from my elbow to my knuckles. Should I be overly concerned? Any comments? Thanks. It's a good idea to take zinc supplements before, during and after you get a new tattoo. It really helps your skin to heal perfectly. And as the writer says - eat healthy! A healthy body heals quickly. First 4 tats were beautiful from day 1 with minimal peeling after week or 2. 5th tat was on my hand and down the side of my arm and that would look like I had a broken hand it was bruised and swollen on 1st day. Seems its location location location! You all forgot to mention a possible flux burn. I have had one before and it causes redness and some swelling but doesn't present like an infection. This is caused when artists assemble their own needles. This is typically only done if using a unusual size or shape of needle as premade presterilized needles are affordable enough to be worth the increased price. Years back the typical way to prepare your needles was done by using a reusable bar and solder a cluster of new needles to the bar. Flux is the liquid chemical used in conjunction with a roll of soft metal wire to aid the soldering iron in properly melting the metal to create the solder attachment of the needles to the bar. It is safe to reuse the bars. After the tattoo is complete the needles will be removed from the bar and disposed. From there the bars are cleaned and scrubbed with a brush, removed, new needle groups are soldered to the bar, is then moved to an ultrasonic cleaning bath, removed and bagged in pouch envelopes made for sterilization in an autoclave, and finally sterilized an autoclave or pressure cooker at around 240-270 degrees for anywhere from 15-60 minutes. An autoclave only sterilizes the needle so if the ultrasonic bath is not done properly or skipped flux residue could remain on the needle or bar and cause redness or swelling if it comes in contact with your skin. A minor flux burn will heal but you should always consult your artist or s doctor if it doesn't subside or gets worse, has pus leaking, has blistering, or is very painful. Thank you for this article, I'm glad I found it. I have recently had cover-up work done on my ankle and the bruising and swelling have been pretty epic! My tattoo artist explained that there are many factors at play including but not limited to placement (sensitive ankle area) and age (52). Your article helped eased my concerns as I've been doing pretty much everything suggested. Had my tattoo since sunday on my lower leg and i can barley walk my ankle n leg is red and swolen my tattoo was oozing yellow and smelt then dried up i showered n now its completley red with blood ??? But the most of us, need to help nature along - correctly. I loved the people I met in the studio but too was very frustrated at the lack of aftercare. good tips! I've worked in tattoo studios as a body piercer and body modifier for 6 years, since I was 17 years old. The reason why I decided to leave body modification business is, basically, that people NEVER LISTEN to us, because they think we are exaggerating when we talk about taking good care of your new tattoo, piercing or scarification. They just get it done, will live their lives normaly, drink, swim, party, wear tight clothes, eat a lot of junk food and, then, if something goes wrong, they'll look for you and blame you for THEIR mistakes. 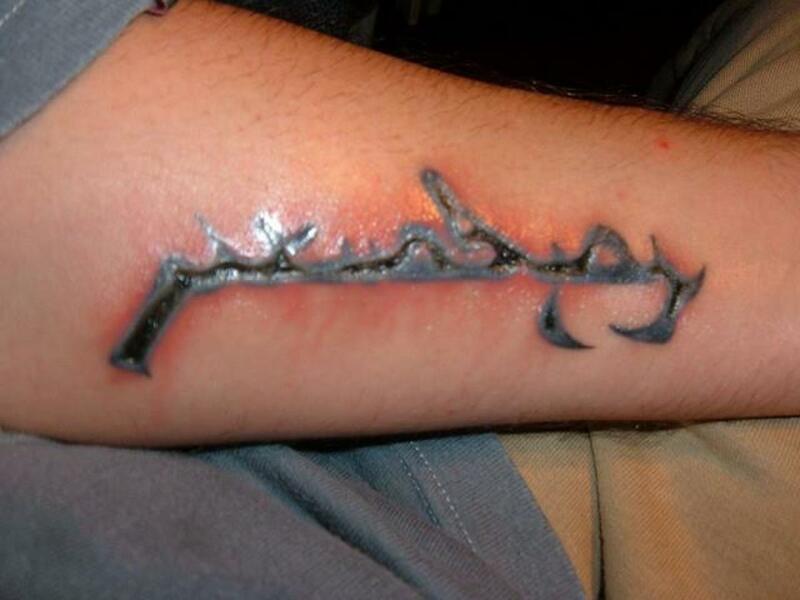 People must have in mind that a tattoo is a new injury, just like any other, but with ink (a.k.a. an outside/strange substance) inserted in it. Things will happen during healing and that's why we need to take care of our new tattoos just like we take care of stitches after goind under a small surgery, for example. And it's possible that you can be allergic to the tattoo ink, especially the black. Great article and pictures by the way. Rating and following. 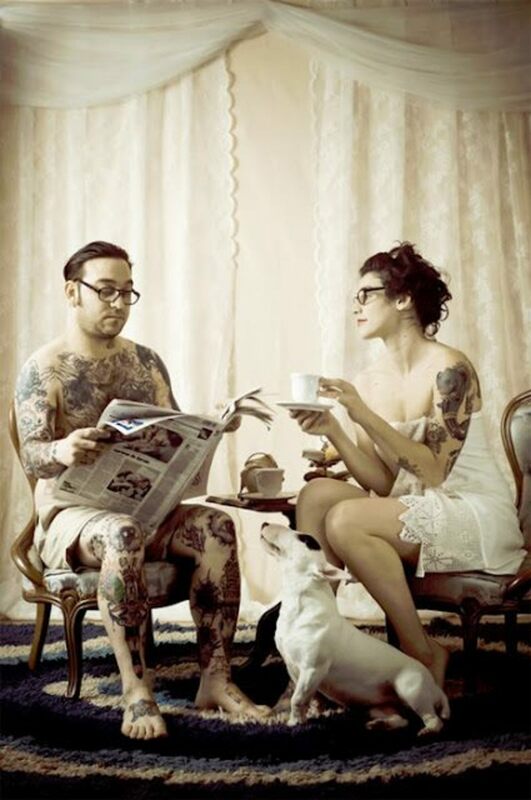 Ink does not enter your blood system, it is deposited below the epidermis (a layer in your skin). A tattoo can and often does take longer than 2 weeks to completely heal, medical fact. But thanks for taking the time to answer the question, although it is a rhetorical question with the correct answer in the information below the heading. Good luck with your tattoos in the future. Yes it's perfectly normal because you are permanently putting ink into your blood system. Your body does eventually get used to the ink being in your body. Takes about 1-2 weeks for it to heal all depending on how much you look after it in the process. There is always exceptions to the rule and you have been quite lucky to get a tattoo you like, for little cost. Hopefully, this is information that is helpful for others. Thats not nesscarily true. If I could upload my tattoo I would show you that good tattoo can be cheap. I have a tattoo that takes up my whole thigh an its was only $100 dollars. I am an african-american of dark skin complexation with 15 colors in my tattoo. Its beautiful. I enjoyed reading your article. Sadly before my first tattoo I had little information. I have 2 big ones now. Definitely! Good tattoo's aren't cheap, and cheap tattoo's aren't good! Unfortunately, when it all goes pear shape - there can be some tears shed! very informative..that's why its essential to get a tattoo done from a qualified ,hygenic place.